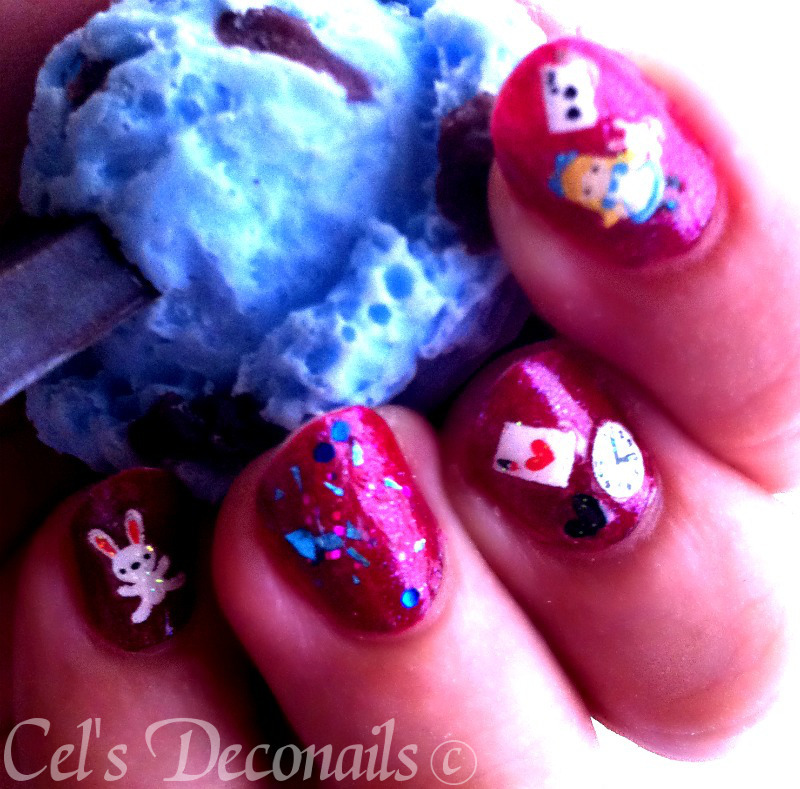 For today I have been saving a super kawaii manicure to show you, with a theme that I think fits the day perfectly. What is that you might ask? Why, Alice in Wonderland of course! My base colour is Stargazer #312, a lovely burgundy/pink nail polish full of blue shimmer. 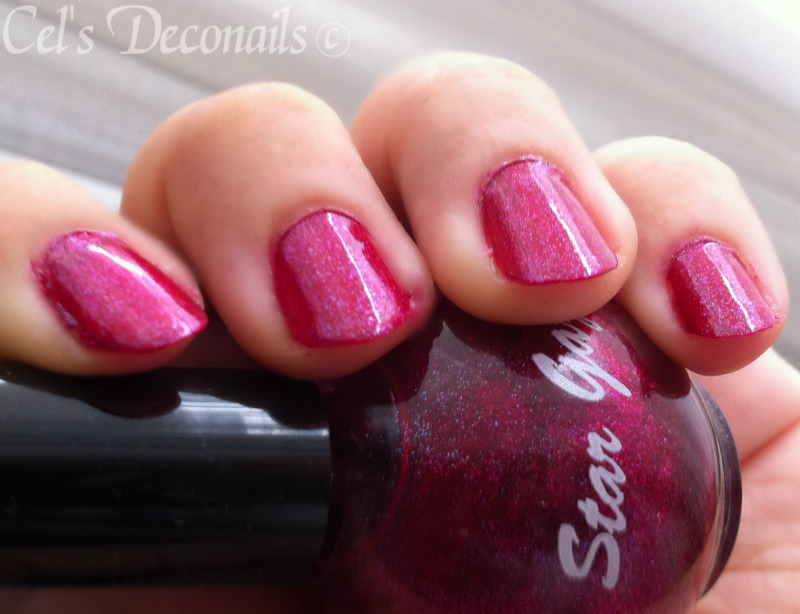 Stargazer is a long time favourite of mine as it was my first favourite nail polish brand, back at a time when nail polishes used to be just different shades of red. But Stargazer was always a fun exception to that rule ;) As you can see, 312 is very pretty both in the bottle and on the nails. It's quite sheer though so make sure you use a good solid colour underneath. I layered 2 coats over red. 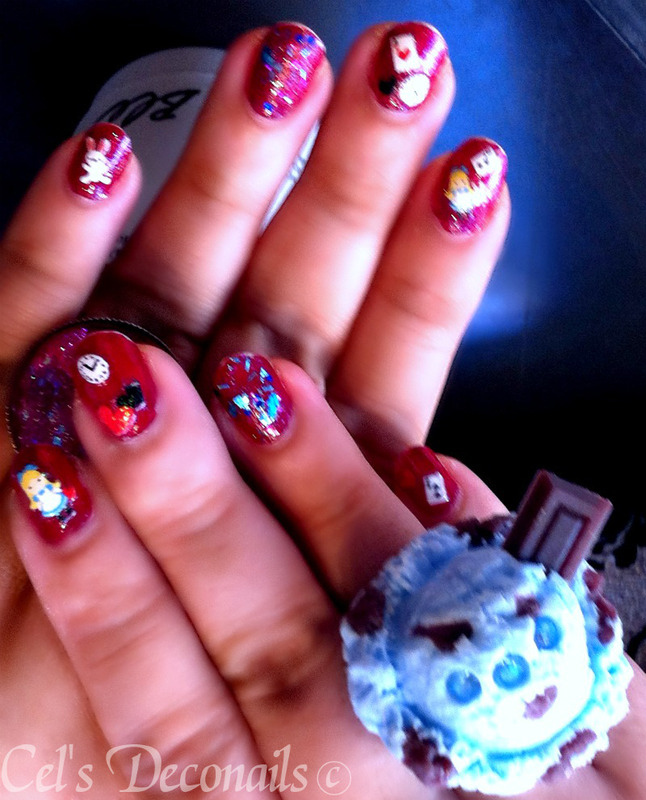 Then I used some super cute nail decals from Japan and as an accent I used Models Own Freak Out! from the Mirrorball collection. Everything was sealed with Seche Vite top coat as usual. 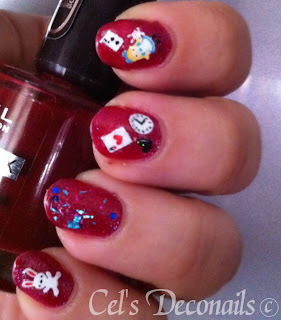 Do you like Alice in Wonderland dear readers What do you have on your nails for Halloween? p.s. don't forget to enter my Happy Halloween giveaway, open until November 11. Ahhhh noone compares to Japan when it comes to nail decals. So much variety to choose from. Πολύ μου άρεσε η ιδέα σου, το συνδύασες ωραία με το κόκκινο. Η πρώτη μου σκέψη θα ήταν κάτι σε γαλάζιο σαν το φόρεμα της Αλίκης ή καφέ σαν την τρύπα που έπεσε αλλά τελικά και με το κόκκινο ταίριαξε πολύ καλά.